We will be closed on December 24-26th. We will be open again on Thursday December 28th and Friday December 29th. We be closed again on January 1st. FLU SHOTS ARE HERE! CALL TODAY TO SCHEDULE YOUR FLU SHOT APPOINTMENT! We also no longer have the ability to accommodate injection visits to catch up vaccines for alternative vaccines schedules for our established patients. New patients, please know we are a practice that encourages vaccines and we require that our new patients begin receiving vaccines on the CDC schedule by 2 months at the latest. To read more about our reasons for not offering alternative vaccines schedules click HERE. A bright and comfortable space to wait for your checkups and learn tips for healthy living. Designed to inspire healthy eating with fruit and vegetable themes. Our instructional kitchen provides hands-on learning about preparing healthy food for your children. Keeping them healthy through an emphasis on nutrition. We are open and accepting most major insurance plans. Call us at 540-369-3316 today to register your children with our office staff. If you are expecting, schedule a prenatal visit to meet the staff and tour the office. We are always coming up with new ideas to keep your family healthy. Check out the Yum Pediatrics Blog written by Dr. Fernando and the Yum Pediatrics team! 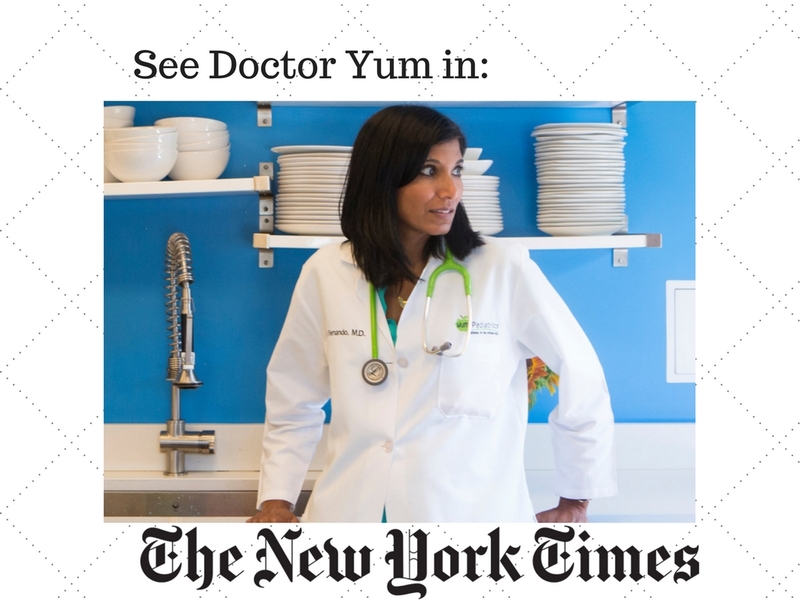 For even more ideas, recipes and parenting tips visit The Doctor Yum Project’s website, founded by Dr. Fernando. Schedule appointments, view records, and send messages from the comfort of your home computer through our online portal. Interested in learning how we got started?